This April, from the 5th to 14th, an EPIC slots battle is set to take place at CasinoKings.com. Enter the Age of Slots challenge and you could reel in a cash prize. 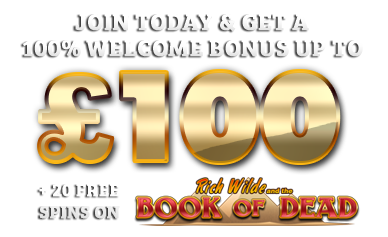 Simply deposit £/$/€10 or more with code: AGE, then play any of our Eyecon or Tom Horn slots. The more you wager, the higher your position on the leaderboard. If the winning Player cannot be contacted successfully, the prize award may be declared void at CasinoKings.com discretion, consequent to which the prize shall not be allocated to any other participant. CasinoKings.com will inform winners and pay the cash prize to the player’s account.